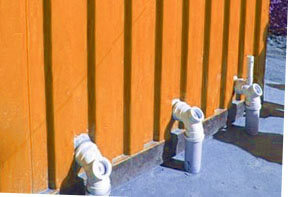 Containers can be modified to accommodate water and grey water. This allows for multiple configurations in the form of portable buildings with showers, hand basins, laundry rooms, kitchens and ablution blocks. Plumbing can also facilitate industrial applications that require the storage and treatment of chemicals or hazardous liquids. Get in touch with us to discuss your special project.